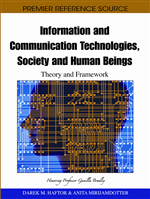 This chapter presents a summary of some features of soft systems methodology—SSM, and of critical systems thinking—CST as they have been experienced from the point of view of the field of applications of information technology. It highlights the manner in which CST completes SSM in the context of the design of computer support in the form of HYPERSYSTEMS, and evidences some problematic aspects of the two approaches which push the practitioner into philosophical issues. One concluding hypothesis is that further developments of systems practice must be sought at the interface between formal science, political ethics, analytic psychology, and religious thought. For tutorial purposes, a great amount of literature is related to these issues. SSM has been comprehensively presented in an extensive work (Checkland, 1981) but the following will be edited out of a more recent, and therefore presumably more developed, presentation of SSM that is related to informations systems (Checkland, 1988). It will sometimes be completed and followed by my comments. Information systems can be seen as an organized attempt at meaning—creation—from—data by a social institution. The creation of meaning is seen as requiring a “semantic information theory” that may be grounded on the welcomed theory of “speech acts” in modern philosophy. An SSM idea that is considered crucial is that a set of activities be linked as to form a purposeful whole that could itself be regarded as a kind of system, a “human activity system”. Such systems can be adequately clearly described only in relation to a particular world view, or Weltanschauung. Methods—models—systems that are relevant to debate real-world activity are developed (in a logic—driven stream of analysis), and compared with real-world action in a problem situation, in order to structure a debate about change. The problem situation itself is simultaneously explored (in a social stream of analysis) as a culture, with social and political characteristics. It feeds both the former choice (design) of relevant systems and the debate about change among participants/designers/users/end users/(ever-changing)-organizational members. This view of social reality is that of an ever changing outcome of a social process in which human beings continually negotiate and renegotiate, and so construct with others their perceptions and interpretations of the world and the rules for coping with it, rules that are never fixed once for all. Future computer projects need to be complemented with such a technical—social—political process for continuous thinking and rethinking of organizations tasks and processes [activitities], together with the rethinking of the enabling information flows. When iterations of the process produce models which are widely agreed to be relevant in a company [problem] situation, then such consensus activity models can be converted into information flow models, and the more traditional methods of information system design can be initiated. Lately there have been attempts, ideas and projects to design multimedia computer support of similar processes and their iterations (Forsgren, 1989; Lundquist and Huston, 1990). The activity models can be transformed into traditional information flow models (Checkland, 1970), as known in the field of information systems analysis (Langefors and Sundgren, 1975), by asking of each activity: (a) what information is required in principle to do this activity, in what form, with what frequency, from what source?, and (b) what information is generated by doing the activity? Even if prototyping as related to continuously learning systems apparently makes the idea of stable information flows obsolete, it is still true that some provisionally stable structure of the information system must be available in order to be periodically revised. Co-constructiveness requires constructiveness. Learning systems are in the best case expected to increase the frequency of revisions or updatings, or then, to create structured databases of continuous opinion polls.